Nestled between Belmont University and Melrose, and situated just north of Interstate 440 is one of Nashville’s most exciting neighborhoods: 12 South. Southern Living magazine recently named it one of the “South’s Best Neighborhoods,” claiming that “Nashville’s favorite fashion and lifestyle destination fosters the kind of community vibe you won’t find in a mall.” It even earned a write-up in the New York Times in 2003. That is because everybody in Nashville is talking about 12 South and they have been for several years. The laid-back community has a reputation for its eclectic mix of residents and visitors, its restaurants, its clothing shops, and the charming historic homes that sit along the outskirts of 12 South’s small commercial area. Over the last couple of decades, it has become one of the most sought-after places in the city to live and just hang out and have a good time. It has its own Neighborhood Association, its own park, and even its own farmers’ market. The walkable neighborhood might feel like a small town, but in reality, it is just minutes from Downtown Nashville. Interstates 440 and 65 are just minutes away, as well, making for an easy commute to most places in the Metro Nashville area. You can even be at the Nashville International Airport in 20 minutes. Throughout the Southeast, the neighborhood is known as a shopping and dining hub. You will find dozens of locally-owned and independent shops and restaurants that attract tourists, residents, and even some of Nashville’s most notable residents. For example Imogene + Willie sells clothing and custom denim for some of the city’s biggest music stars. Wags & Whiskers is a holistic shop where you can buy goodies for your furriest family members. Corner Music is the neighborhood’s retail shop for musicians, and crafters can stock up on fabric and yarn at Craft South. Vintage shops, clothing boutiques like Hero and Emerson Grace, and a bike shop are also popular retail spots in the area. If you are hungry after all that shopping, you can grab a burger at Burger Up or a barbecue plate at Edley’s. When you crave pizza or Mexican cuisine, skip the chains and try MAFIAoZA’s or Taqueria del Sol. Coffee shops, neighborhood bars, sandwich shops, and restaurants that serve international cuisine round out the lineup. Finally, for dessert, do not forget to try the world-famous gourmet ice pops at Las Paletas. 12 South is just a quick drive from some of Nashville’s hottest destinations. Music fans can visit the Country Music Hall of Fame or the Johnny Cash Museum before catching a show and backstage tour at the infamous Ryman Auditorium in Downtown Nashville. 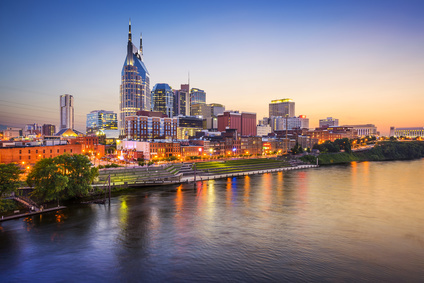 For sports fans, Nissan Stadium, home of the Tennessee Titans, and Bridgestone Arena, home of the Nashville Predators and host of some of the biggest concerts and shows in the world, are both just a few minutes away. You can also catch a football, baseball, or basketball game at nearby Vanderbilt University throughout the year. Other nearby attractions include the Adventure Science Center, the upscale Mall at Green Hills, and the Parthenon. 12 South is proud to be home to its own little park: Sevier Park. Located on Lealand Lane, the beautiful greenspace has trails, playgrounds, a community center, a café, tennis courts, a community garden, a basketball court, an area for skateboarding, open spaces for sports, and a performance lawn. It also plays host to the neighborhood’s farmers’ market, as well as the annual Sevier Park Fest which will be in its 4th year in 2016. Other parks near the neighborhood include Rose Park, which features several sports fields and a walking track; Fort Negley Park and Visitor’s Center, a historic site where you can learn about Nashville and its Civil War history; and Reservoir Park, which has a playground, tennis courts, walking paths, picnic areas, a large reservoir, and a basketball court. Despite its reputation for shopping and dining, 12 South is largely residential, and its mix of housing styles is as unique as its residents. You will find some condos in the area, but the majority of housing options are single family homes that typically fall in the $500,000 to $1,200,000 range, though it is possible to find a smaller home or fixer upper for as low as $350,000. You will also find a blend of historic homes from the early 1900s and new construction. Craftsman homes are popular here, but there are also many modern styles, ranch homes, Tudor style, Federal style, and four-square homes with big rocking chair front porches.